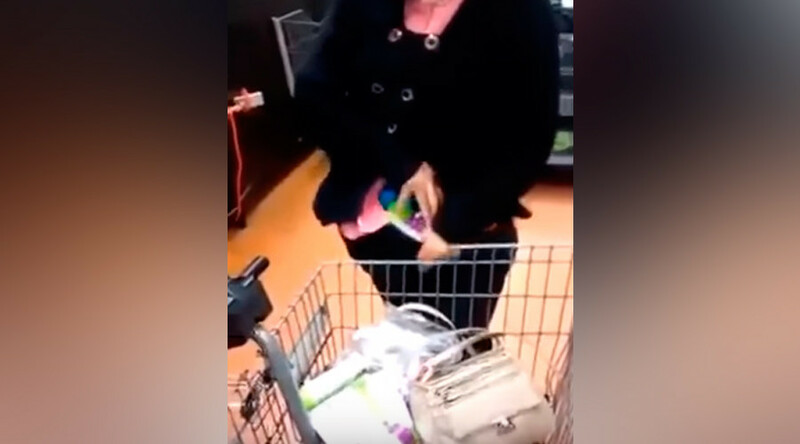 Like a shoplifting Mary Poppins, a woman has been filmed unloading a trolley full of stolen goods from her outfit after she was caught by staff. The unnamed woman in the unidentified store is shown emptying out a variety of items hidden in her clothes including numerous aerosol cans, shampoos, and creams. Tipping the items into a trolley for the staff member recording her, the woman has to dig deep for some of the goods, almost filling the basket. The astounding number of items pulled from her body left internet users both surprised and amused. “Could we find classified US documents hidden from the public eye in there also?” mused another user.